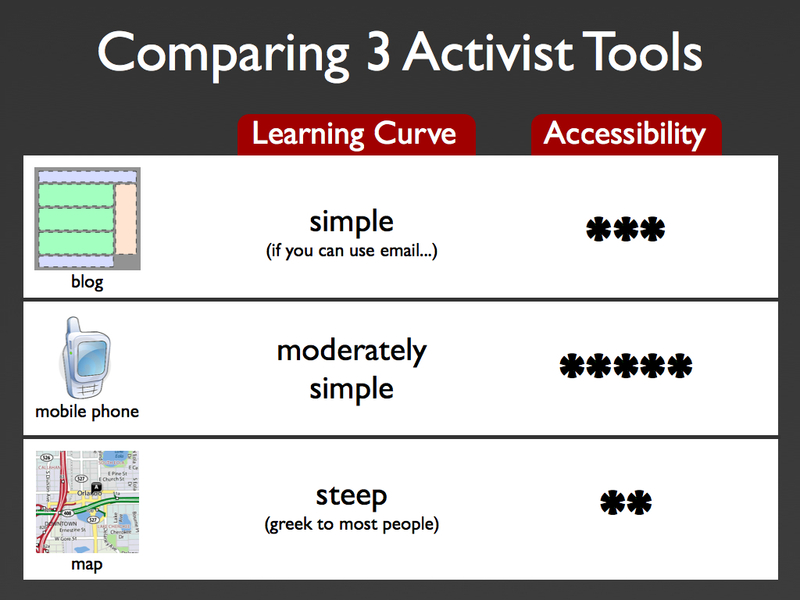 As I was putting together my talk on “Activist Mapping” for Where 2.0, I realized that I was getting a little to fragmented in message. One of the areas I’m probably not going to have time to cover is what I consider the consumer-accessibility of mapping tools, so here it is. 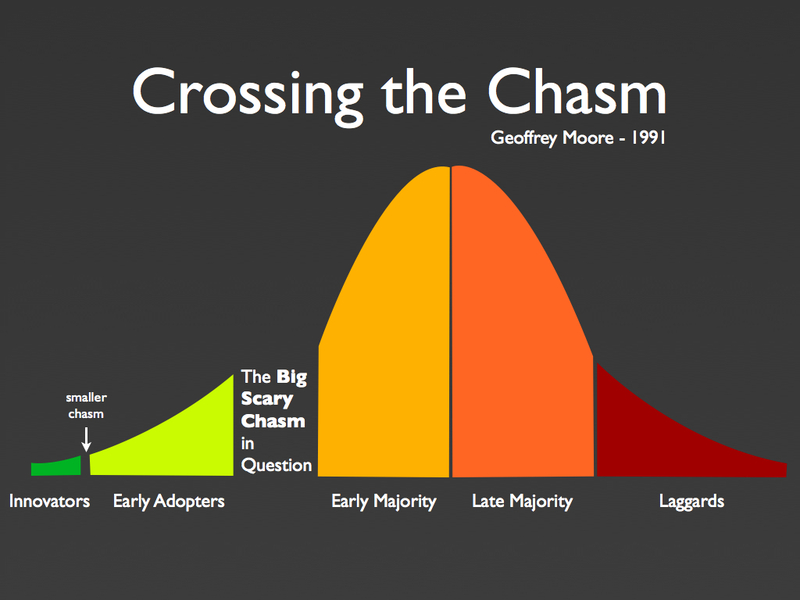 Is There Something to be Learned from the Blogging Evolution? 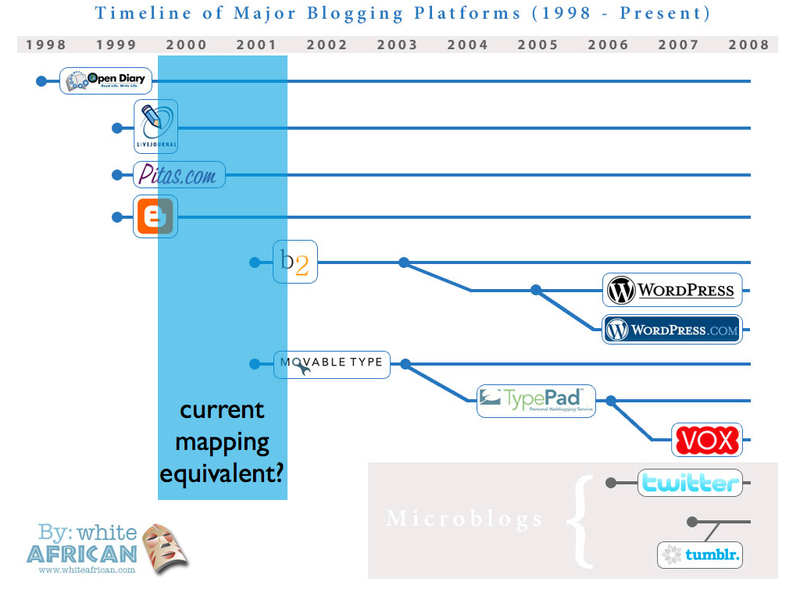 In my last blog post I showed a slide talking about the timeline of major blogging engines. I did this because I was exploring a premise that there might be something in common with the way self-publishing tools on the web have developed, and the way mapping tools are developing. As I’ve dealt with mapping solutions on eppraisal.com and Ushahidi, I can’t help but think how powerful they are, but still so hard for a non-programmer to really master. The beauty of the blogging engines is that they finally created a way for an “ordinary” person to create a personal website. When I look at that timeline, I wonder if we’re not in the same era with mapping that we were in with blog CMS tools back in the early 2000’s? 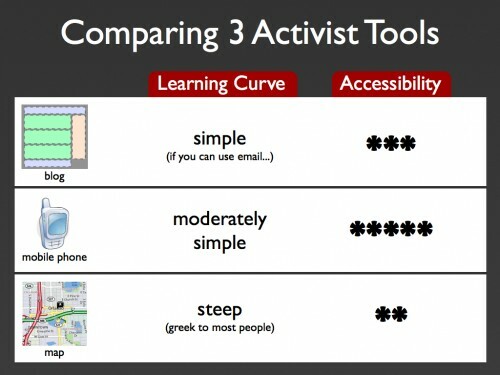 As I was thinking about mapping, blogging and activism, I also thought about another one of the core digital tools that activist use worldwide: mobile phones. What would a simple comparison be between the 3? Blogging’s learning curve is fairly shallow, if you can handle email or word processing, then you can understand how blogging works and do it. It’s middling when it comes to accessibility worldwide, due to bandwidth and PC requirements. Those thoughts led me to think about Geoffrey Moore’s Crossing the Chasm book, where he talks about the difficulties of getting technologies to leap from the technology elite to the the masses. By anyones definition, I think we’ve seen that happen with blogging. Not so with mapping… yet. Within the mapping ranks there are definitely those that are trying. Google’s My Maps and Platial/Frappr come to mind as I think of good examples of consumer-facing self-generated mapping applications. However, so much of what is being done (as cool/powerful/amazing as it is) is still only understood and grokked by the mapping gurus of the world. This is seen first hand in what we had to do with Ushahidi. The ability to just create a map system that was even slightly geo-coded correctly for Kenya took a little work. Not everyone could just jump right in and mashup something as simple as that. Will it ever be as easy as jumping in and creating a blog, or will mapping always be a tech-centered effort? I think this also depends on the nature of what maps are right now and where they still need to be brought. What are maps anyways? Just a graphical tool to combine facts? Or much more than that? As for me, I am still dreaming about a smart, simple & straight forward WebGIS with endless layers from a world-view up to a local 1:5000 level that may be customized with an API. Similar to GoogleMaps, but much better georeferenced. Oh, and I like this timeline above. Agree with the placing of the current maps ease-of-use status because there may already be services like http://www.mapbuilder.net/ but anything advanced still requires some coding.